Congress president Rahul Gandhi, who has been a sharp critic of the Rafale deal, on Friday renewed his attack on Prime Minister Narendra Modi after the government started the request for information process to buy 100 more fighter jets. In a tweet, Mr Gandhi alleged that the government bought the (36) Rafale fighter jets at an inflated price so that it could float a fresh tender and “favour friends”. “40,000 Cr. loss to exchequer was “Sayonara” (good bye) money to French, so PM could re-tender contract and favour friends,” Rahul Gandhi tweeted. India is looking to buy 100 fighter jets in a deal that is likely to cost over $15 billion, and has sent a “request for information” or RFI to plane-makers in a deal that will translate into the world’s largest order for fighter jets. The RFI contains information about how the Indian Air Force or IAF plans to shortlist and finalise the fighter jets. Plane-makers such as SAAB AB of Sweden, Lockheed Martin Corp. and Boeing Co. of the US, Dassault Aviation SA of France, MiG of Russia, and the European consortium Eurofighter are expected to compete for India’s jet fighter deal. The Congress party has been alleging that the Modi government finalised the Rafale deal with the French government at a price much higher than what the United Progressive Alliance (UPA) government had clinched to buy 126 medium multirole combat aircraft (MMRCA). 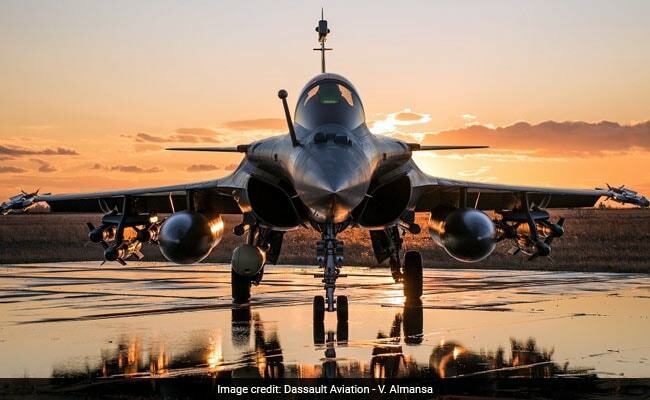 The centre has declined to reveal the actual cost of the Rafale jet fighter deal with the French government, citing national security concerns. In July 2015, a year after Prime Minister Narendra Modi’s party BJP came to power in the centre, former defence minister Manohar Parrikar had told the Rajya Sabha that the government had withdrawn the MMRCA deal. Though the Congress has been asking the centre to reveal the cost of the Rafale deal, Defence Minister Nirmala Sitharaman has declined to do so citing national security concerns. 15 Billion $ fighter jet deal re-tendered. PM’s friends race to tie up STRATEGIC partners. India and France in March this year signed an agreement on “exchange and reciprocal protection of classified or protected information” when French President Emmanuel Macron was in India. Both sides also agreed to create an annual defence dialogue at the ministerial level. The agreement defines common security regulations applicable to any exchange of classified and protected information between the two countries.